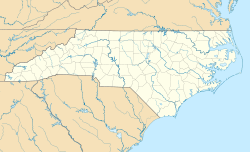 Fayetteville (/ˈfeɪətˌvɪl/) is a ceety in Cumberland Coonty, North Carolina, Unitit States. ↑ "Interactive City Directory". Sister Cities International. Retrieved 17 March 2015.